Consumers don't think about "TV" vs. "digital"— they watch what they want, when they want, on any screen they want. 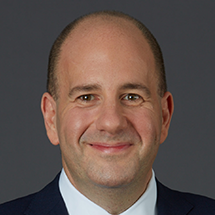 David Cohen, North America President of MAGNA, shares how and why IPG Mediabrands strives to be as video-neutral as their consumers. Back in May, IPG Mediabrands signed the biggest Google Preferred deal in history. We shifted more than $200 million of our TV ad spend to YouTube. I had no idea how much our announcement would impact the conversations that we were having with media partners, clients, peers, and even our competitors. "Why?" was the question that people kept asking. Why was that the right decision, and why was it right to move during the upfront season? The answer is simple: At IPG Mediabrands, we believe in planning for the world we live in, not the world we grew up in. This is central to our dynamic marketing and client proposition, and how we evolve at the pace of both the consumer and industry at large. Think about the big viewing moments of the last year, like the Olympics or the presidential debates. Where did you catch these major moments? Did you watch them on your TV or on your phone? Was it live? It's hard to keep it straight. And that's exactly the idea. Your audience doesn't care if something is on broadcast or cable, TV or YouTube. They care that the content they want to consume is in front of them at the right time. To succeed in this video-neutral world, we have to get better at blurring these lines as well as our consumers do. I'm going to share three lines that we can better blur to buy more like our consumers watch. We believe in planning for the world we live in, not the world we grew up in. The first line we often draw on behalf of TV is that if we need to reach a wide audience fast, television is the only way to do it. And TV is an incredibly powerful platform. The thing is, there are new platforms that are just as powerful. In your average day, YouTube reaches more people over 18 than any TV network.1 TV is one way to achieve fast reach, but it's not the only way. And in many cases, you can reach significantly more of your audience by combining YouTube and television—blurring the lines like your consumers do. One recent comScore study found that advertisers on prime time broadcast television could have reached 56% more 18-49 year-olds by also advertising on YouTube.2 So, we need to start buying media the way our audience is consuming it. Better engagement by taking advantage of the new "active audience." For a long time, TV could engage viewers in a way no other medium could. You can't see a radio ad, and even the most gripping page in a magazine can't be heard. So we drew a line between television and all the rest: TV was the place to engage a "captive audience" with the help of sight, sound, and motion. Not only do audiences pay closer attention to YouTube ads, they're also more likely to take action. YouTube generates almost twice as many searches per impression than TV.4 That means online video doesn't just captivate, it activates. When your audience is on a device they interact with hundreds of times a day, they're primed to take action. When your audience is on a device they interact with hundreds of times a day, they're primed to take action. Consider how you might take advantage of that willingness to interact. If your goal is conversions or clicks, for instance, are you using video ad formats that facilitate next steps, like TrueView for Action or TrueView for App Promo? In order to squeeze every ounce of value out of online video, consider how you both captivate and activate audiences. The strongest line of all runs between how we measure online video and television. For years, the gross rating point (GRP) was the metric we relied on to account for potential reach. But in a multi-screen world, we need more than reach—we need a better metric for impact. Our view of the world is shaped and powered by our proprietary Audience Measurement Platform (AMP). AMP enables us to measure across the multitude of media partners we work with, helping determine the best ways to reach audiences across screens. Because not all impressions are created equal, we buy based on what we call the AMP Index and measure based on video-neutral metrics, like those you see through Google's Brand Lift tool. It's our way of solving for video neutrality and measuring for impact. Search lift, for example, is a video neutral metric that Google is now offering across both YouTube and television as part of their Brand Lift reporting. Now, you can see how many people searched for your brand or product after they saw your ad on television or on YouTube. One metric across all video platforms. We're ending with it here, but video neutral measurement should be your first step. It's important to know that the metric you use will work across partners and platforms, including TV and online video. If you don't have video-neutral KPIs, you can't build systems to support them. In a multi-screen world, we need more than reach—we need a metric for impact. Reach more people faster by being as video-neutral as your viewer. Your audience doesn't use labels like "online video" or "TV," and your media buying practices shouldn't either. Achieve faster, broader reach by making YouTube and TV work together. Don't just captivate your audience with great ads; activate them with the right ad formats. A fundamental difference between the audience watching video on TV and the audience watching video online is their ability to take action. If your brand goals call for it, consider ad formats that make it easier for users to click or buy. Use one standard of measurement across all video platforms, including television. Only video-neutral metrics can accurately measure video-neutral audiences. Consider a solution like AMP or measure with search lift, which now works across YouTube and TV. 1 Google-commissioned Nielsen study, average daily reach among persons 18+ for YouTube, Nielsen Total Media Fusion, broadcast and cable, total day (Live + 7, one-minute qualifier), television only, Apr. 2016 broadcast month. 2 Google-commissioned comScore study from comScore Xmedia, U.S., Dec. 2015. (Broadcast TV defined as NBC, CBS, ABC, FOX, CW, My Network TV. Primetime defined as Mon-Sat 8-11pm + Sun 7-11pm.) YouTube data not restricted to primetime TV hours. 3 Google/Ipsos YT and TV Viewability In Home Controlled Experiments, 2,953 ads, n=173 TV/YouTube viewers 18-54 year olds, U.S. 2016. 4 Google Internal meta-analysis of 1188 U.S. studies, August 2015 - April 2016.